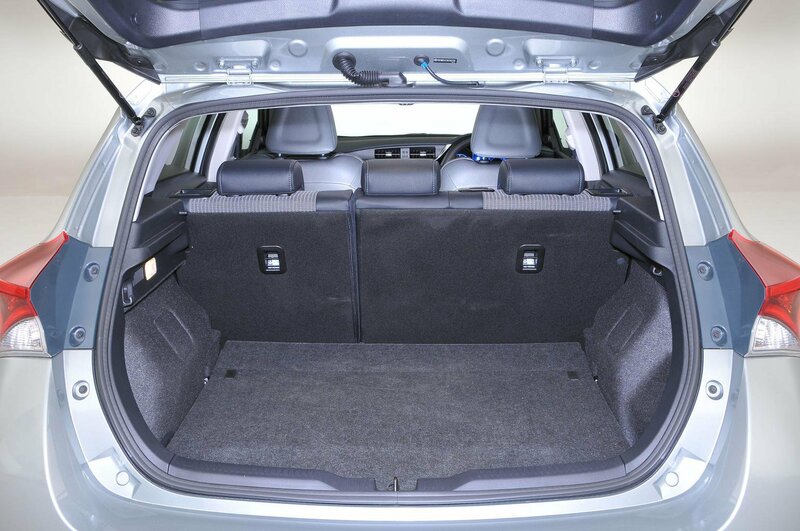 Toyota Auris Boot Space, Size, Seats | What Car? You and your front-seat passenger will find getting in and out of the Auris is no problem thanks to the wide-opening front doors. 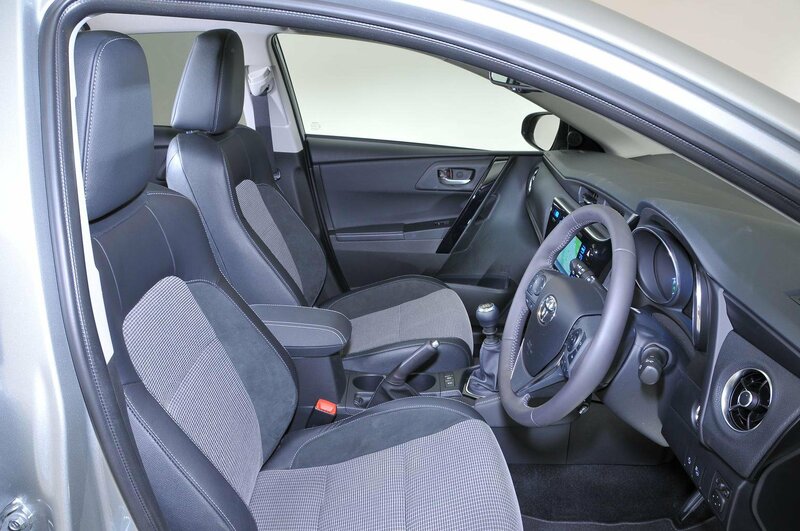 Once in, you have a similar amount of head- and leg room as in most of the Toyota’s various rivals, so all but the tallest adults should have enough space. Storage space is generally good. There’s a large glovebox, two cupholders next to the handbrake lever, and the front door pockets, although short, are shaped to hold a small bottle of water. There’s also additional storage under the centre armrest and a glasses holder above the rear-view mirror. 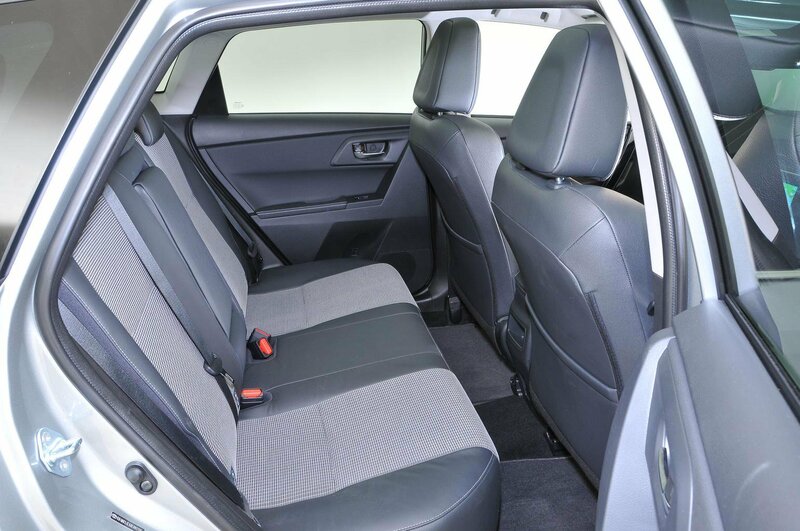 Fairly narrow door openings mean that access for your rear-seat passengers is only average. 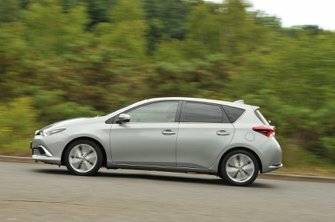 Every Auris has five doors, though, so at least there’s no need for those in the front to move to let them in or out. Watch out if you have the optional panoramic glass roof fitted, because it eats into the amount of head room available, especially for anyone sitting in the middle seat. Even without the glass roof, head room is merely average for the class. Leg room is also tight for tall adults, if fine for anyone else. Although there is seating for three, three adults will feel pretty squeezed for shoulder-room. It’s worth bearing in mind that there are more spacious rivals available if you regularly carry adults in the back, such as the Nissan Pulsar and Skoda Octavia. The two upper trims, Design and Excel, come with rear privacy glass as standard to reduce glare from bright sunlight. There’s a decent amount of storage space. The door pockets are small but will hold a 500ml bottle of water, there are two cupholders in the central armrest and a tiny tray in the back of the centre console. 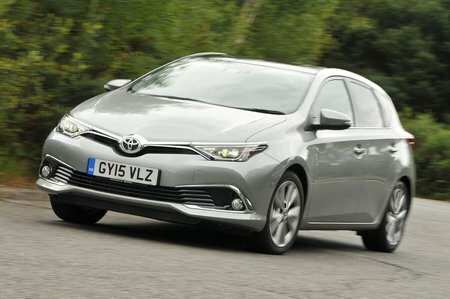 Entry-level versions don’t get any seatback pockets, however; you need to go for a mid-spec model to get a pocket on the back of the front passenger seat, or top-spec Excel trim to get them on both seats. Entry-level versions don’t get front passenger seat height adjustment; you have to go for Icon trim and above to get that. No Auris, however, has adjustable lumbar support for the passenger seat. In contrast, every version of the VW Golf gets height adjustment as standard, and most come with adjustable lumbar support. Your passengers in the back will enjoy their reclining rear seats, though; these add an extra degree of comfort and are not available on many of the Auris’s rivals. All models also get 60/40 split-folding rear seats as standard, which are simple to fold down: just pull the levers on top of the outer backrests and the seats hinge down and lay almost flat, without you having to lift up the seatbases first. Although the Auris’s boot is a useful shape and will fit a child’s buggy, it’s still smaller than a Nissan Pulsar’s or VW Golf’s, and a long way short of the colossal Skoda Octavia’s. The Octavia also has a wider opening that makes loading bulky items simpler. An adjustable boot floor is standard, though. 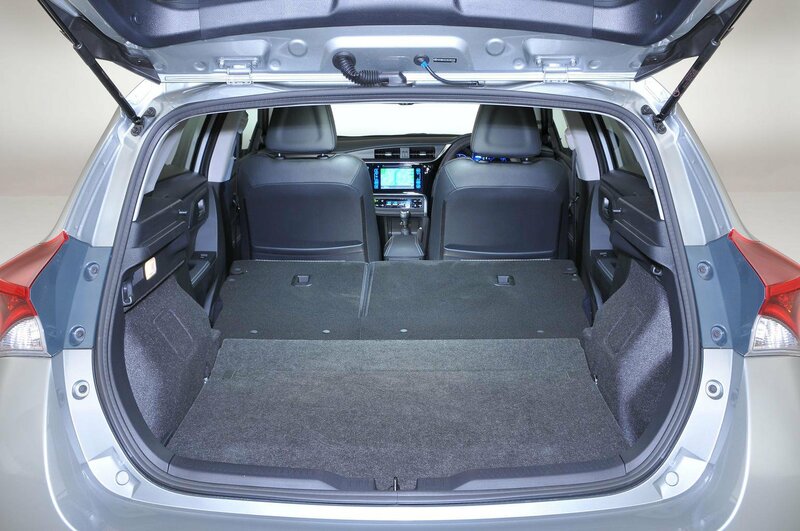 This comes in handy if you need to separate delicate items of shopping, plus it helps level out the load bay floor when the rear seats are folded down. It also reduces the height of the boot lip, which makes it easier to lift heavy items in or out.